A funny thing happened to me the other day.. 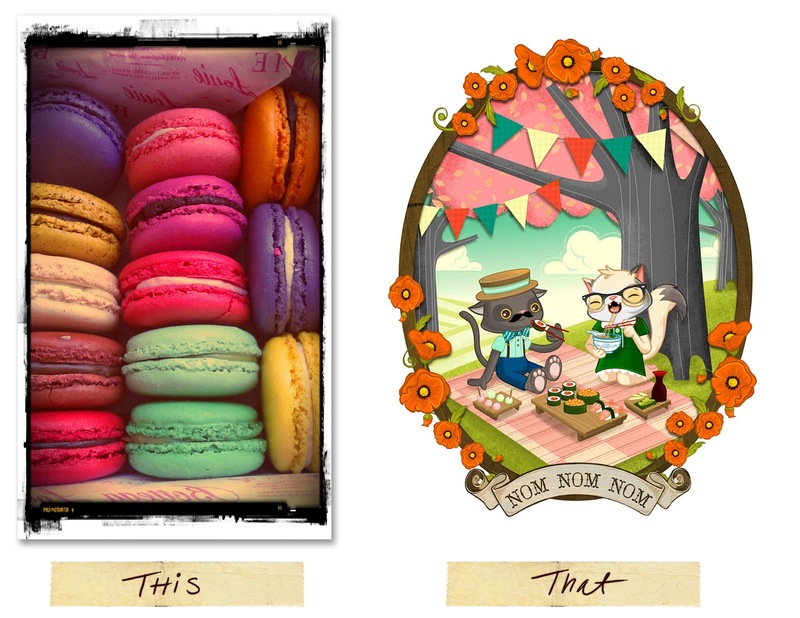 I happened to take a look at a photo i took of a box of macaroons next to my"NOM NOM NOM" illustration. I couldn't help but notice the similar color scheme. Then it made me think about inspiration and how it sneaks up on you in all the darndest places. I mean if you're really paying attention to whats around you, the things you love are constantly on loop for you to see and to inspire. you just have to press pause. With this new found revelation, I decided that I would combine my love for my new camera app and take pictures of the all the things that make me go "ooooh and ahhhh" with the hopes of making me slow down and "really" see things but also tracking where my inspiration seeps in from. Plus..it'll hopefully give me a reason to be inspired and create more art. Here's hoping everyone finds things to inspire them! THIS was a box of macaroons that someone kindly gave me. these were the first macaroons i've ever had and they were absolutely delicious. it made me happy and sad every time i had to say good bye to one. i quietly sobbed everytime i took a bite out of one. THAT: is a sushi picnic. i've never tried it but i think we all should, cause food when eaten outside on a sunny day always tastes better. THIS was an awesome thing i found when i was antiquing in the orange circle. I don't know what it was besides that it was AWESOME and the size of my dining table. 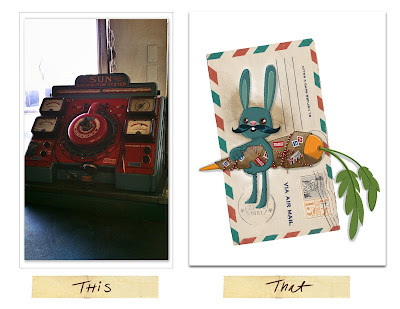 THAT was a bunny i saw waiting in line at the post office. i think he was in line to see if he had the right amount of postage for his parcel.